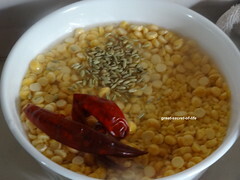 Wash and soak Channa dal, Moong dal, Fennel seeds, red chillies together for 1 hour to 3 hours. Drain it and leave it out for 30 mins. 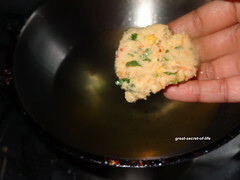 Grind fennel seeds and chillies into smooth paste. 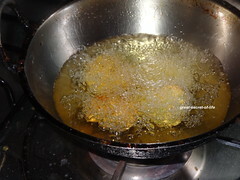 Grind dhals, salt, curry leaves, into coarse paste. Use very little water to grind. 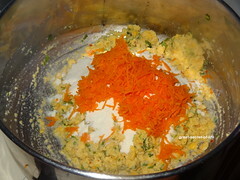 Add chopped coriander, Ghee, Rice flour (if using) and carrot. Mix well. 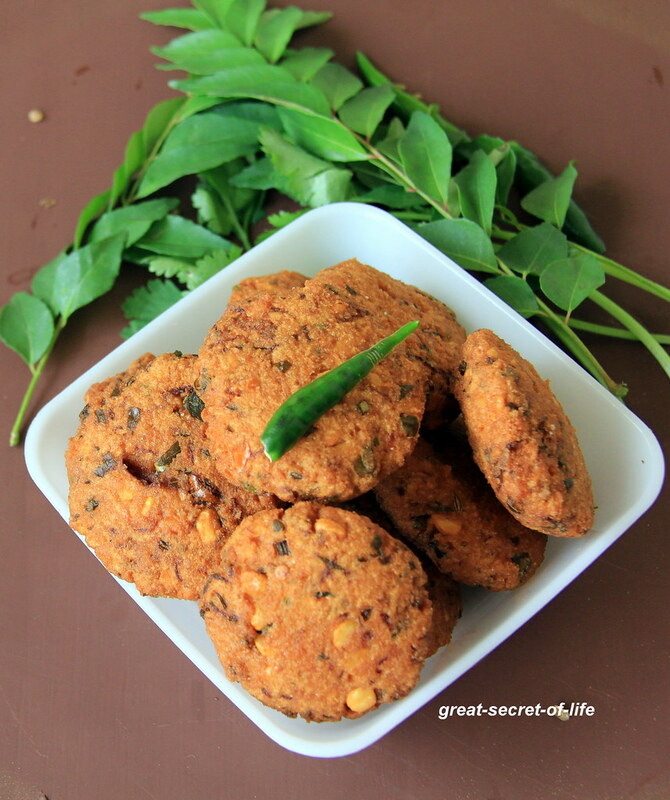 I rarely get a chance to prepare Vadai at home Veena, which is sad since I love them. But you know, fried food and calories go hand in hand! 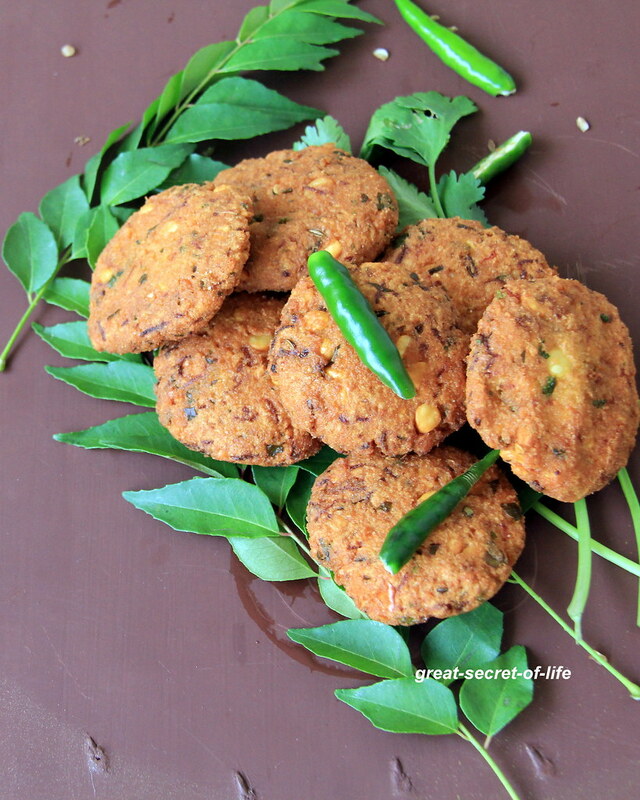 But this idea of mixing carrot with the vadas is great since you get vitamins as well with the proteins. So its still on a healthier side than most of the snacks. 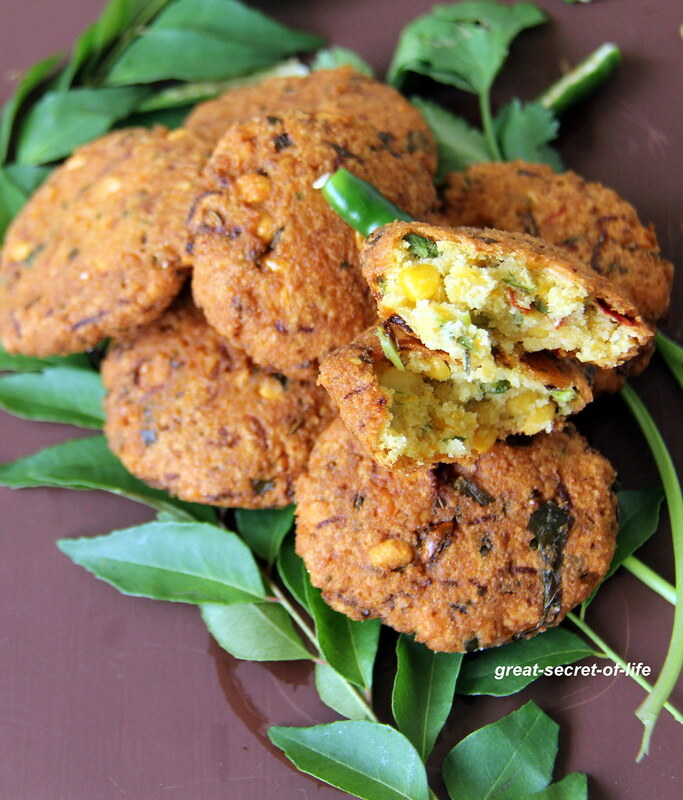 With curd rice this vadai taste great.Adding of carrots is great idea. 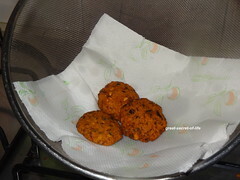 Lovely snack with carrots in it. 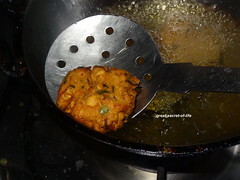 Nice addition of carrots in vadas... delicious!